2019 will offer opportunities as well as challenges for businesses operating in North-East Fife. Many of the factors, good and bad, influencing the business environment here will come from outside the area, such as Brexit and the Tay Cities Deal, but others will come from or be influenced by Fife Council and the University of St Andrews. Gordon Mole, Chief Officer, Economy, Planning and Employability at Fife Council. 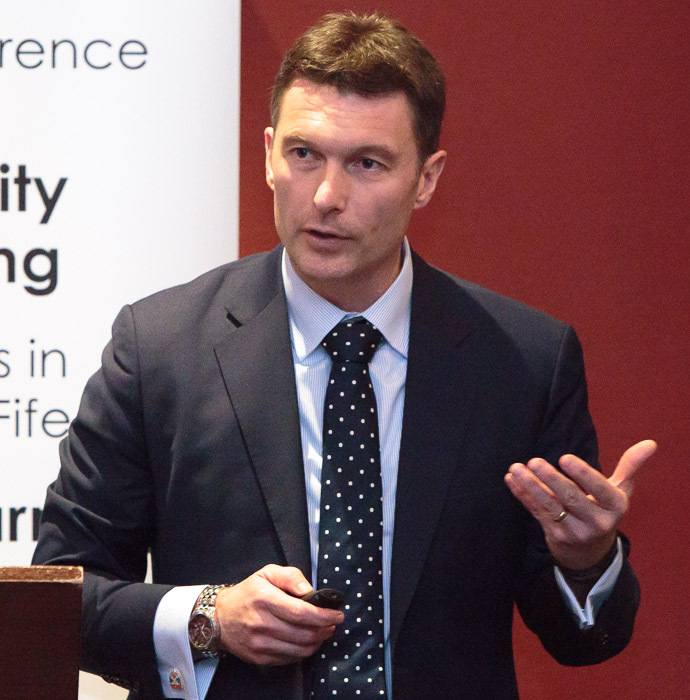 Gordon Mole, Chief Officer, Economy, Planning and Employability at Fife Council gave an overview of the Tay Cities Deal and the Fife economy – its history, ambitions, challenges, goals and the strategy being used to deliver them – as well as the Fife perspective on Brexit. Professor Brad MacKay, Vice-Principal, International, Strategy and External Relations at the University of St Andrews. Professor Brad MacKay, Vice-Principal, International, Strategy and External Relations at the University of St Andrews talked about its success to date and economic impact locally, regionally and nationally and how the new University Strategy and Eden Campus will help it build on this success over the next five years. Thanks to them both for sharing their expertise and the Members, Guests & Visitors who attended. 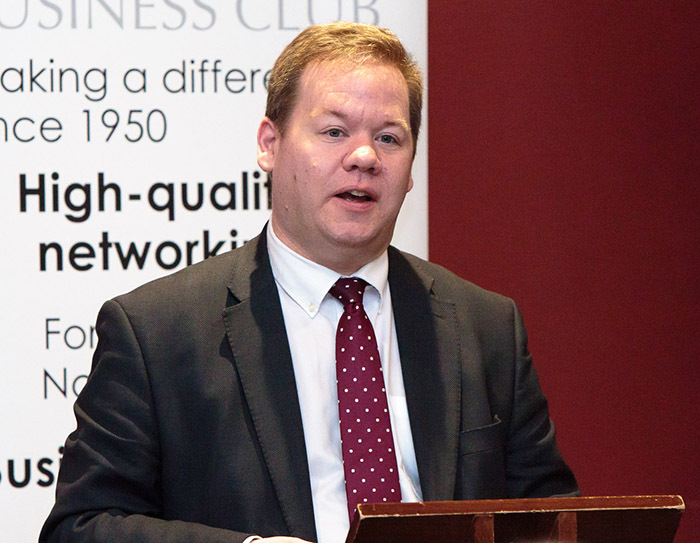 NEXT EVENT: The Club’s next event is February 13: Business growth from Research-based Innovation when Dr Lorna Howarth of KTN & Paul Kyle of CIK Solutions will tell you how to achieve that.